TP Pratap, Co-Founder and Chief Marketing Officer, Qwikcilver, in an interaction with People Matters, reflects on the changing corporate gifting scenario and discusses the talent implications of it. After having a relaxed weekend when Parul returns to work on Monday morning she is struck with Monday morning blues. But those blues soon go away as she receives a recognition mail from her manager with a gift card from Amazon. It is no news that incentives and recognitions increase motivation and enhance the productivity of employees. Organizations have been using rewards, recognition and other benefits to keep their employees happy and satisfied for ages. However, the way, the mediums and the methods to deliver the entire R&R experience has changed manifold. 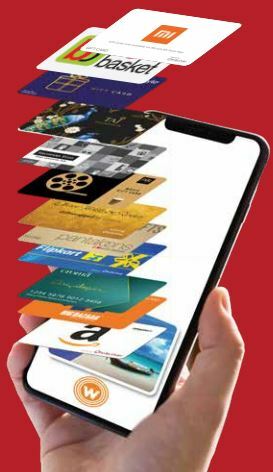 Moving beyond the trophies and tangible gifts, available technological resources made it possible for organizations to leverage digital gift cards, disrupting the corporate gifting landscape. About ten years ago TP Pratap, Kumar Sudarshan and Bhaskar Vasudevan, three friends from BITS Pilani saw an opportunity in this changing corporate gifting landscape and founded Qwikcilver in 2008. “Based on anecdotes and incidental research we stitched all the pieces together and at the time when there were barely any players in the digital corporate gifting market in India, we put up a software-as-a-service-based gifting card platform together,” shares TP Pratap, Co-Founder and Chief Marketing Officer, Qwikcilver. With the gifting industry in the country at $65 Mn at present and corporate gifting comprising of more than 80 percent of this market share, the market looks quite promising, today. However, this wasn’t the case when Qwikcilver started its journey ten years back. TP Pratap, in an interaction with People Matters, recalls the initial years of the business and shares the journey of Qwikcilver. He also reflects on the changing corporate gifting sector and discusses the talent implications it may have. Reportedly, Qwikcilver has already garnered 90 percent share in the market in less than 10 years. How has this journey been like? It has been a long exciting voyage that we have had over the years. Even after ten years, the one thing that we have stuck to is the intent to excel in the space of gift tech. The market was initially slow and hence it took us more years than expected to garner the customer base we were looking for. However, despite the negatives, there were several factors which helped us funnel our thought process. Qwikcilver was not built in isolation of the feedback from our potential customers, rather it was built and enhanced with time, based on the inputs from the market. For instance, gift card requirement of a retailer is different from that of a hotel chain brand. Further, the need for a corporate reward solution required by a large enterprise is another segment. All of these demands and needs were identified and based on these requirements, the platform was built from the ground up. These insights helped us built a scalable robust SaaS-based multi-talented merchant platform which could handle the complexities of the Indian market. Later, it also helped us get a lot of positive feedback from the overseas market. Over the last 18 months, we have forayed into the other markets based on our success in the Indian market. India, however, continues to be our focused market. We do believe that over a period of time international markets will kick in as this category has immense potential in other territories of the world as well. How has the entire gifting scenario changed over the years? There has been a significant paradigm shift in the way corporate gifting is done. In the pre-gift card era, there was a huge logistic challenge in the corporate gifting segment. Corporate gifting encompasses multiple areas, from partner gifting where companies reward their channel partners and company gifting where companies gift employees, which includes Rewards and Recognition majorly. Earlier, R&R was done through products and merchandise, which often meant sending physical products to 5,000 employees spread across geographies. The companies often faced problems like delays in transit and loss of products. There was also an element of the added burden of the cost of logistics. With the advent of digital and the available solutions, organizations slowly and gradually moved on to the technology-powered solution and gift cards and reward cards became a thing. Both corporates and employees at present have a choice of over a top 50 retailers and the experience is far more personalized. 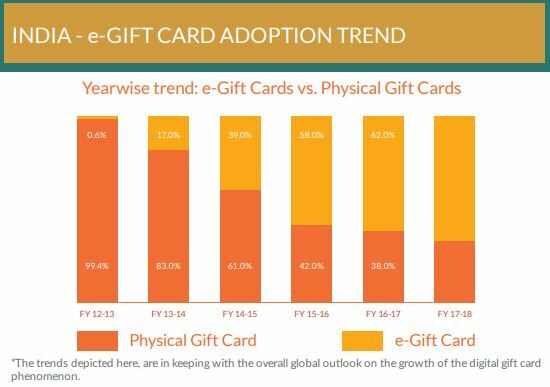 In fact, corporates in India have adopted gift cards in a better way than the West. Corporate gifting in India has surpassed expectations and expanded rapidly in the recent three to five years. How do you foresee the gifting space evolve in the coming years? 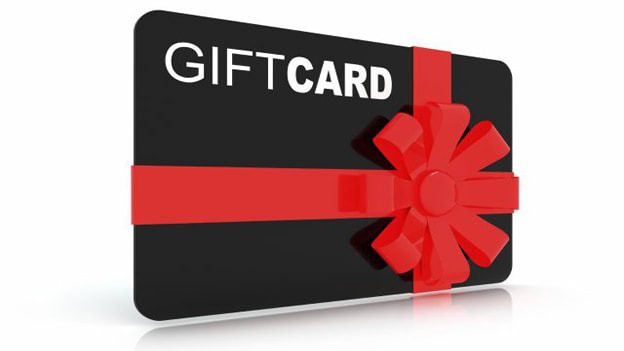 The corporate rewards and incentives programs would continue to increasingly leverage the robust and versatile flexibility provided by Gift Card programs for significantly enhancing the user experience for employees, staff and partners - across large enterprises, institutions as well as SMEs. The gifting landscape would continue to adapt impactfully to leverage the disruptive adoption of technology in multiple corporate and institutional use cases. In the space of seamless payment solution implementation, there would be enhanced acceptance of Gift Card Technology suite for powerful corporate campus designated Food Court Programs. Employees of corporates will be enabled to transact seamlessly with their ID cards; select the kiosk or cuisine vendor on impulse; pick up their food and pay for it with a mere tap of their ID Cards at the real-time enabled payment counters. This will promote a high- speed, queue-busting, seamless, friction-free payment experience, with the added benefit of being completely cashless, which in turn reduces friction points in terms of hunting for change and of course, completely removes opportunities for shrinkage and pilferage for the vendors. This would enable corporate admin and HR teams to track and manage their spends and budget controls far more efficiently. What implications will this have in the context of talent in the near future? Attracting, retaining and fostering the right blend of talent across functions in an increasingly complex talent landscape and environment will be increasingly imperative. This would entail the recalibration of skills sets and skill gaps in the relevant functions across businesses, HR, compensation and benefits, learning and development, purchase, procurement and administration. The HR function and personnel in the people function would continue to be the hub and focus that would drive the corporate employees to be well suited to the changing landscape in this space. What skills will be more in demand for an employee in a SaaS company and which ones will become redundant, if any? The rapid shifts in tech require individuals to have or adapt to environments across cloud computing, hosting environments; Android & IOS Mobile Application environments; agile sprint capabilities, multiple web frames such as Python, Ruby on Rails; user interfaces like JQuery, YUI. This further requires soft skills like adaptability, flexibility and learnability. In the ever-changing VUCA environment, knowledge of various server and client side technologies would be of paramount importance for SaaS organizations. Paradigm shifts caused by IOT and machine learning would be the order of the day for such tech-based entities and its talent needs. The right blend of hard technical skills and soft skills such as adaptability, collaborative working, relationship building, organized working and communication skills would increasingly be the need for such organizations. NEXT STORY: What is the CHRO’s role in the age of augmented work?